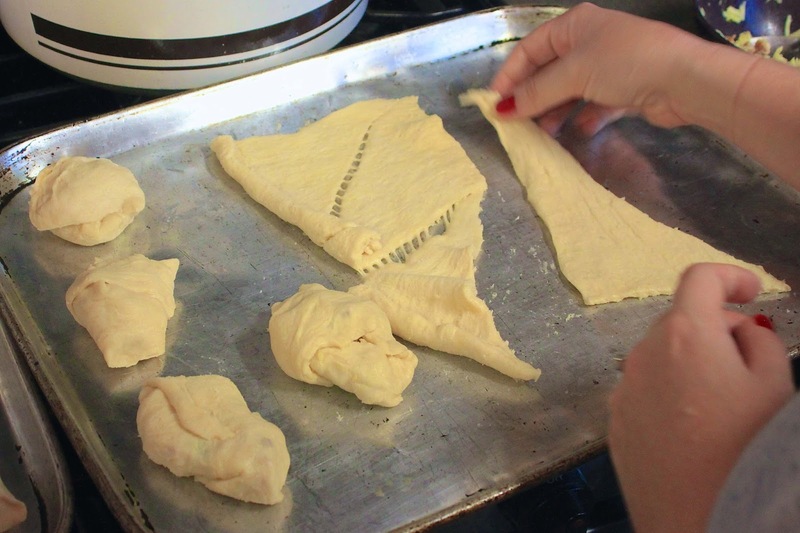 Family recipes and traditions are my favorite. Every year for Christmas morning, Mike and I go to his parents' house, and about 5 years ago, his mom started making these delicious rolls. 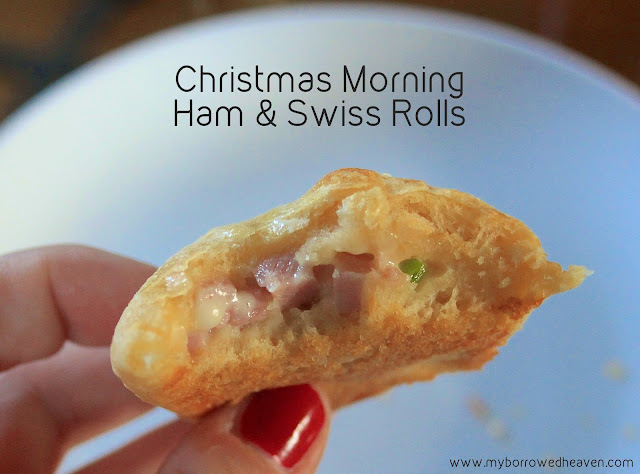 They're super easy to make with the use of refrigerated dough, and you can even use leftover ham (if that's one of your Christmas Eve eats!). We've kept the tradition going, and each year, it's us kids who make these after we open presents. 1. Preheat the oven the 375 degrees. 2. Combine the ham (we asked the grocery store deli to very thickly slice their maple honey ham, and it was delicious), cheese, green onions, and mustard in a bowl. 3. 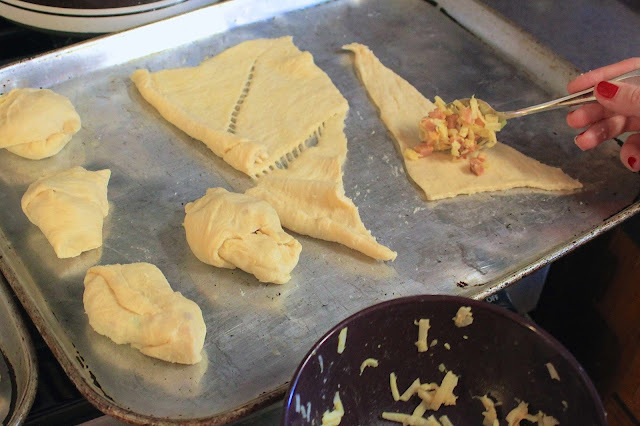 Unfold the rolled dough and spread out each triangle. 4. 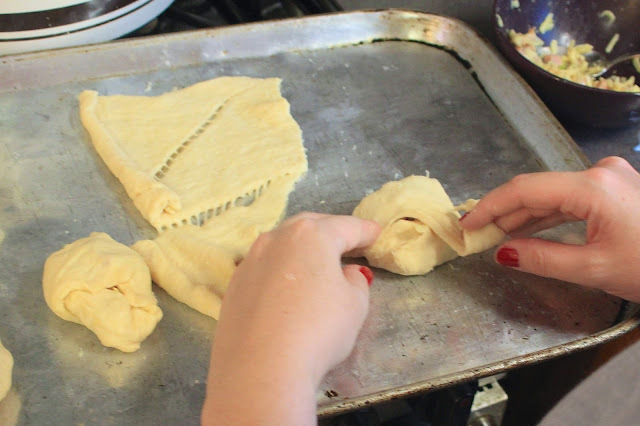 Spoon about two tablespoons of filling into each dough triangle and fold it up so that no filling can escape. 5. 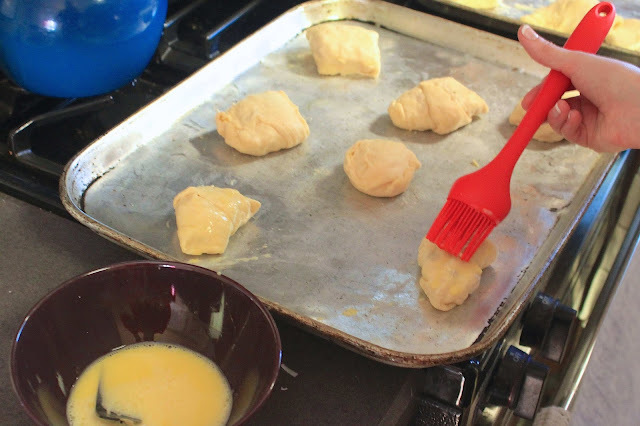 Whisk the egg with a teaspoon of water, and brush onto the top of each filled roll. 6. 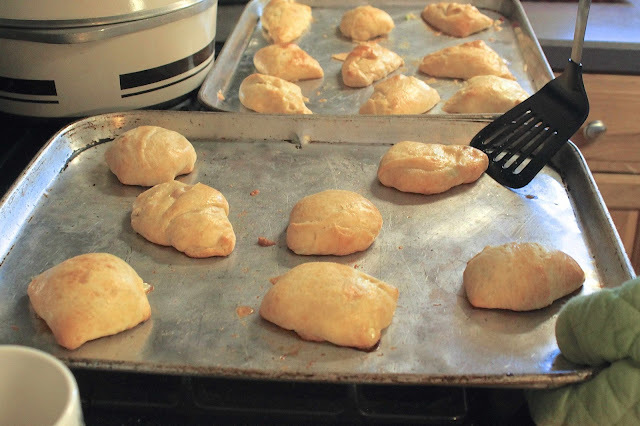 Bake the rolls in the oven for about 12 minutes or until golden brown on top. And a furry cat photo - just because! Let me know if you make these delicious goodies! yay for kitty photo! these look SO good. sigh. brb while i pin this for later! Anything with crescent rolls is yummy!!! These sound so delicious - I am so hungry now! Such a cute cat pic! That looks absolutely delicious and easy to make! Thanks for sharing! Yum! These are the perfect little bite! Yummy! This sounds so delicious and easy to make too! 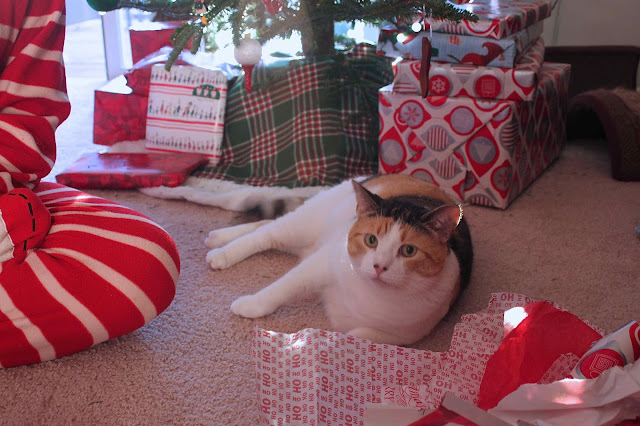 I feel like you really need to go easy for Christmas morning! Yum! I'll have to try these this year for Christmas morning! Oh yum! These look and sound delicious!